You can ask your butcher to cut them, buy them precut, or just do it yourself. We're going to take the whole rack of spareribs and make a st louis style cut. That is pictured in the upper left. There's a flap called the skirt on the back, trim it off. Now you'll see a papery membrane, it has two layers. Slide a butter knife between them (usually over the bone), lift, and then grab the outer membrane and peel it off with a paper towel. Now make another cut running down the length of the rack cutting off the cartilage leaving just the rack of bones. Google for more info on a DIY stlouis cut. The extra bits make nice snacks for the chef during the cook, additions for beans, etc. 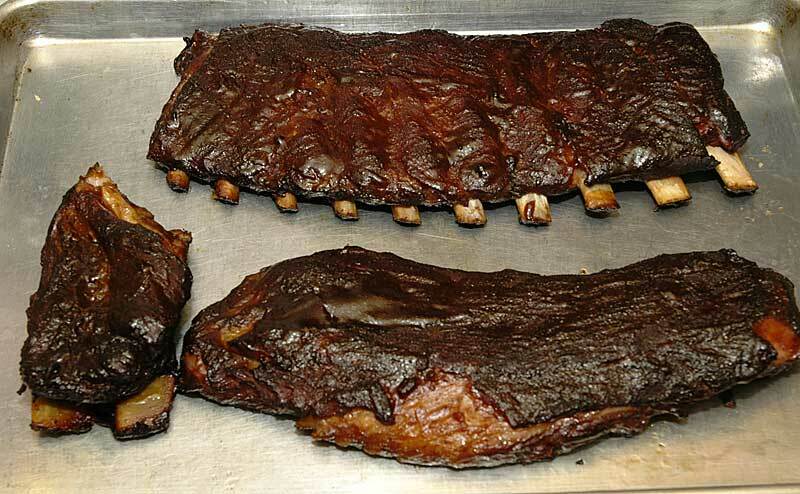 I've dusted the ribs with Harry Soo's rub. 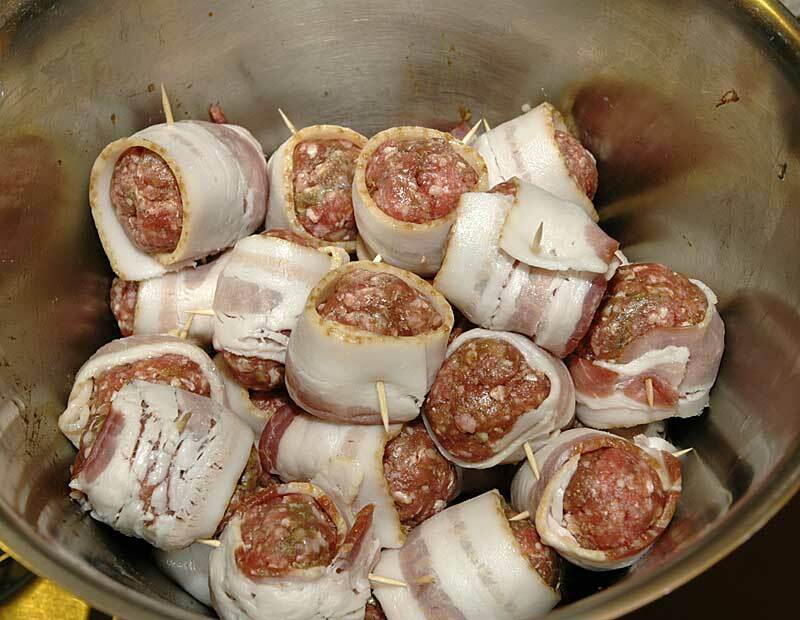 I'm also throwing on some moink today on the lower rack, which are essentially meatballs wrapped in bacon. 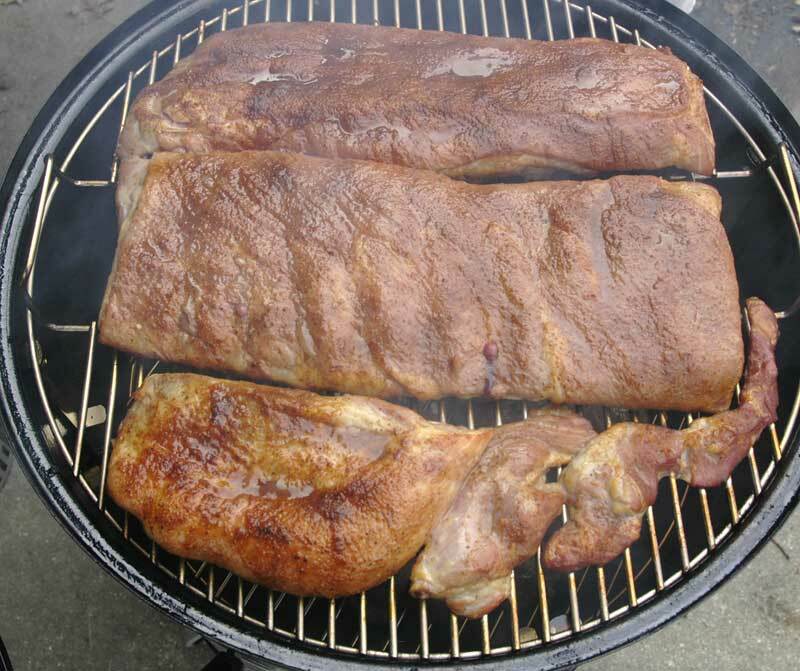 Next I smoke the meat at 275 for 2 hours, and then wrap the ribs in foil with a splash of apple juice and put them back on. 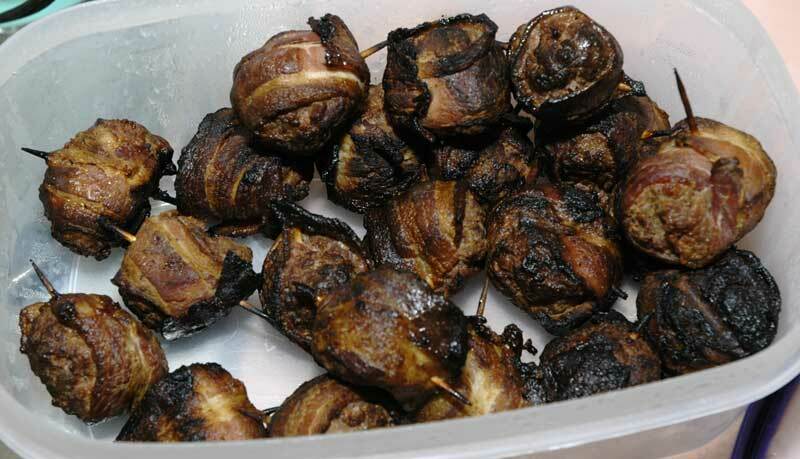 After two hours my moink was about up to 160 so I pulled them and put them on a 400-500 degree grill with indirect heat for a few minutes to crisp up the bacon. I also added a brown sugar and bourbon glaze. After a while in foil I went out to check my ribs. They were more than tender enough so I removed the foil, brushed on a little bit of bbq sauce and let them sit on the smoker for another 20 minutes for the sauce to glaze over. Here they are sliced. I didn't check them soon enough and they overcooked in the foil, you can see the rib meat actually falling off the bone. 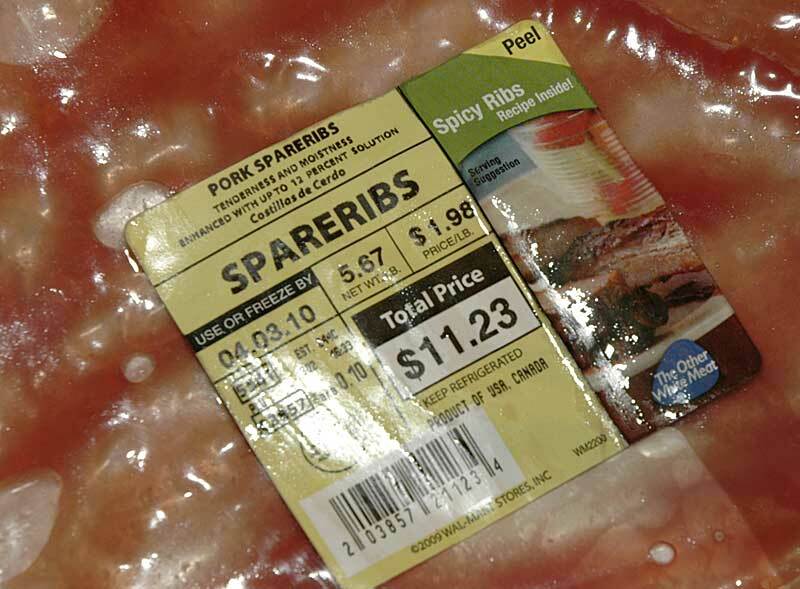 Ideally they would be firm enough that you could take a bite out of the middle of the rib, it would come away fairly easily but not fall off the bone. My guests didn't mind, next time I'll nail it though.